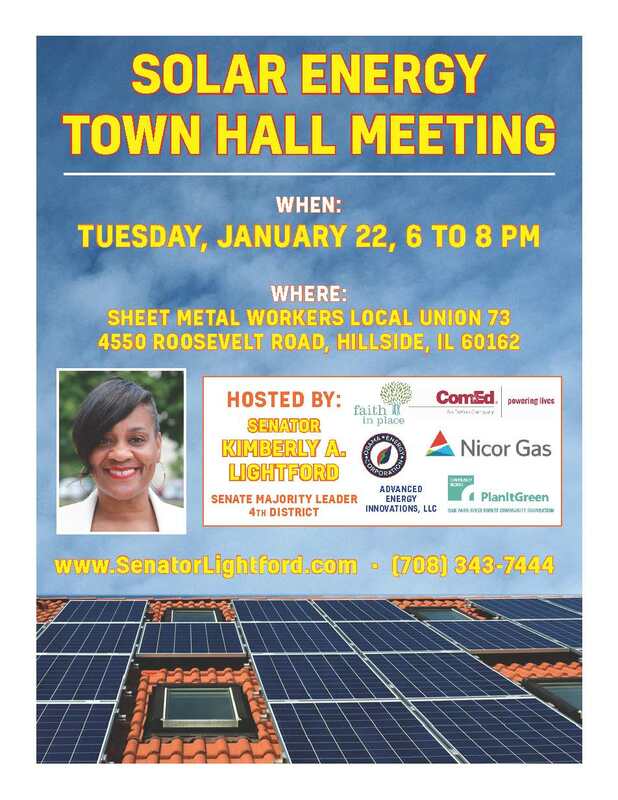 Senate Majority Leader Kimberly A. Lightford (D-Maywood) is hosting a Solar Energy Town Hall Meeting on Jan. 22 from 6 to 8 p.m. at the Sheet Metal Workers Local Union 73. Gov. 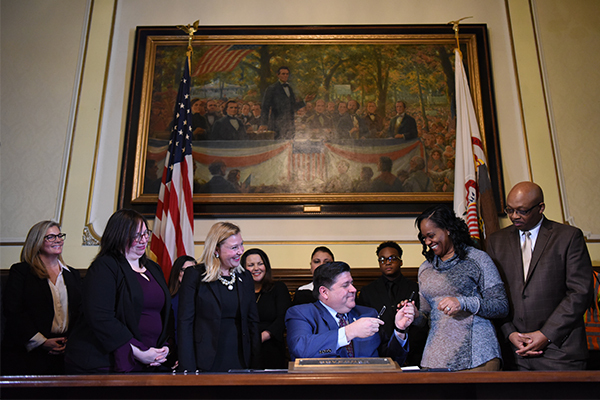 Pritzker signed Lightford’s bill, Senate Bill 203, the first legislation to receive his signature as governor. The new law protects worker wages and promotes diversity in employment by state contractors. Additionally, it requires the disclosure of data on employee demographics and pay among businesses which contract with the State of Illinois. SPRINGFIELD- State Senator Kimberly A. Lightford (D-Maywood) was named Senate Majority Leader with the start of the 101st General Assembly this week. 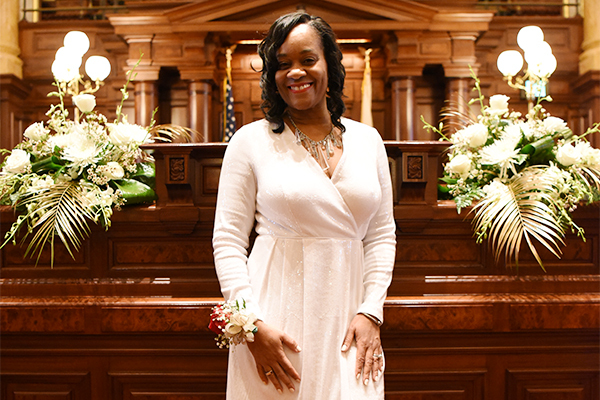 Lightford previously served as Assistant Majority Leader since 2009 and is celebrating 20 years of public service in the Illinois Senate. She is also the first African-American woman to hold this position. The Senate Majority Leader is entrusted by the Senate President to work with caucus members on policy issues and help advise them on legislative agendas. Lightford represents a portion of the West Side of Chicago and parts of the Western Suburbs.